When talking about beneficial effects of Mitragyna Speciosa, Kratom advocates usually repeat the same exact list – as a 100% natural remedy, this Southeast Asian plant has been proven as a highly potent treatment for chronic pain, depression, anxiety, immune disorders and opiate withdrawal. But Kratom strains actually have another surprising purpose – regulation of body weight. According to the Centres for Disease Control and Prevention, about 30.4% of American adults are diagnosed as obese. Translated to plain numbers, this statistic means that more than 97 million U.S. citizens above the age of 20 are overweight. Even if these numbers were smaller, obesity would still be a major problem, not only in America, but worldwide as well. Obesity-associated diseases like coronary heart disease, stroke, diabetes and cancer are taking more lives as we speak, which makes health risks related to this condition nothing less than alarming. Unfortunately, the exact same risks can be associated with popular treatments offered to those with eating disorders. In spite of all warnings given by the experts, the demand for weight loss drugs continues to rise, with up to 50 percent of obese people using over-the counter diet pills. So, what’s the alternative? WebMD offers an extensive list of herbal supplements and vitamins that are with “insufficient evidence” or “possibly effective” in treating obesity. Contrary to those, Kratom has been proven to lead to weight loss in almost every reported case of its use. Although mostly used as a remedy for the aforementioned conditions, Kratom is powerful enough to regulate and maintain both physical and mental wellness in general, thus promoting the healthy lifestyle that excludes obesity. How Does Kratom Regulate Body Weight? Being completely natural and alkaloid-rich, Kratom regulates body weight both directly and indirectly. In the first case, Mitragyna Speciosa stimulates appetite suppression and reduces food cravings. In the second, the plant increases energy levels and thereby encourages its user to give up the sedentary lifestyle, which is one of the main culprits of obesity. As one of the immediately visible effects of Kratom, appetite suppression is usually noticeable after a few uses. The negative side effect that frequently occur with majority of diet pills, like sore stomach and agitation, haven’t been registered with Kratom users so far. After some time of frequent consummation, Kratom alters your nutrition habits for the better – not only does the feeling of being constantly hungry disappear, but so do the food cravings. Instead of desiring fast food, sweets and carbohydrates, like you would usually do with cannabis, you’ll experience the sensation of a pleasant euphoria that doesn’t leave you with a serious case of the munchies. Affecting your brain quite differently than cannabis does, Kratom triggers reward pathways, consequently subduing your needs for an additional satisfaction that addictive food provides. Other than temporary effects of sedation or euphoria, which depend on the Kratom strain and dosage you’ve decided on, Mitragyna Speciosa doesn’t trigger acute side effects nor is it harmful to your health in any way. 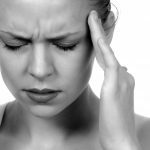 If unpleasant effects like brain fog and disturbed stomach do appear, it’s a clear signal that you’ve not been using your Kratom responsibly, and should consider lowering the dosage or changing the strain. As most Kratom users have attested, the effects of Mitragyna Speciousa can be significantly intensified when taken on an empty stomach. For that reason, weight loss may come as an unintentional after-effect of frequent usage. If not looking to lose weight, try spacing your Kratom intake or make a conscious effort to eat more, even if you don’t feel hungry. 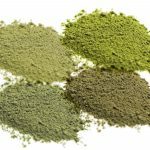 If dropping pounds is your primary concern and the reason for choosing Kratom, then you should know that not all strains are equally effective for losing weight. To get the full benefit from the plant, opt for white and green veins – Thai and Maeng Da are considered the best varieties for this purpose, since they are the most potent when it comes to boosting energy levels. Whichever you choose, be careful to avoid strains with sedating properties, such are red veins, Indo strains, Borneo strains and Bali strains. When it comes to dosage, a moderate one – 2 to 5 grams – is the best option for appetite suppression in most cases. The effectiveness of one dose, however, may depend on different factors with each individual, so feel free to start with 1 to 2 grams at first, and gradually enhance your intake if progress is not noticeable. As a completely herbal supplement, Kratom can do wonders for weight loss, even though it is most commonly used as a treatment for severe conditions. Along with a healthy diet that its usage instigates, a regular exercise that comes as a result of increased energy and plenty of hydration, Mitragyna Speciosa is extremely effective in fighting off the poor lifestyle choices that usually result in obesity. Kratom makes me HUNGRIER! Doesn’t matter which strain, I’ve tried them all. Maeng da, Thai, Whites, greens, reds…….they give me a MONSTROUS appetite right as the good feeling begins to dissipate. Very similar to the way marijuana does. This is NOT a “weight loss” supplement by any stretch. Great for PTSD, C-PTSD, stress and anxiety but if you are buying kratom solely for the purpose of losing weight, save your money. Hello! I’m always super hungry a few hours after dosing. This is why I think it happens like that for me; I always wait at least 2-2.5 hours after eating to take Kratom. I start getting super hungry after 2 or 3 hours of taking it. So, that’s around 5 hours of not eating at that point! So yeah, I’m pretty hungry! I think it can be used for weight loss for this reason maybe; for me, once I eat after taking Kratom, either the effects go away and/or I get super tired. So, I put off eating. Also, my tolerance is super high right now so I take more throughout the day, always on an empty stomach. I struggled with my dosing when I was preop for gastric bypass surgery now 19 months after surgery I still am hungry about the same kratom I can confidently say has no effect on hunger if anything it makes one feel so good they want to clean and cook for their family making them more hungry and putting weight on. I am confident in stating kratom in NO WAY makes ones appetite go down or away. If anything it makes you feel good warm and lovingly uplifted to where you want to cook for your family in a loving way bake cookies make huge meals with desserts…Yeh defintiely not an appetite suppressor!!! Kratom has helped me lose 35 pounds from a size 14 now a size 4.I get hungry sure, but you have to drink hot tea for kratom to work. It’s not a wonder drug. You have to eat protein. No sugar, no carbs. It will work.